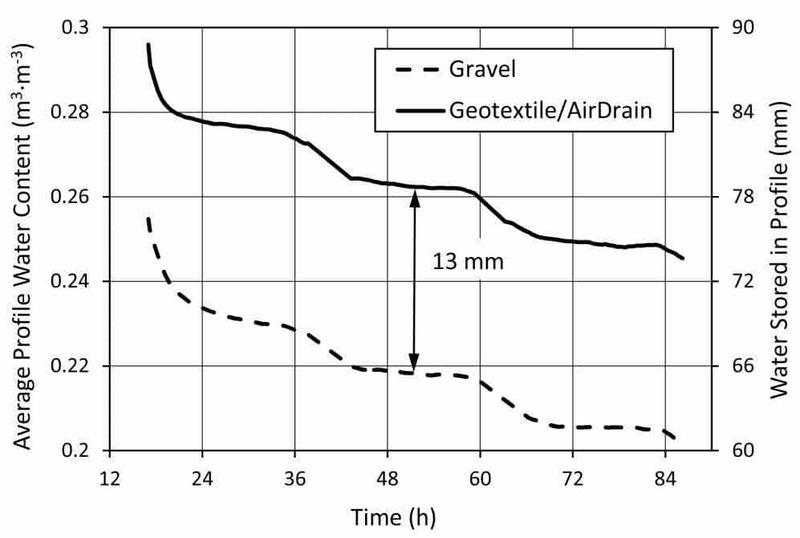 This research was conducted to facilitate utilization of the widely accepted United States Golf Association (USGA) recommendations for physical properties of root zone mixtures when designing a putting green using a geotextile filter fabric atop Airfield Systems’ AirDrain drainage grid in place of the standard gravel drainage layer. 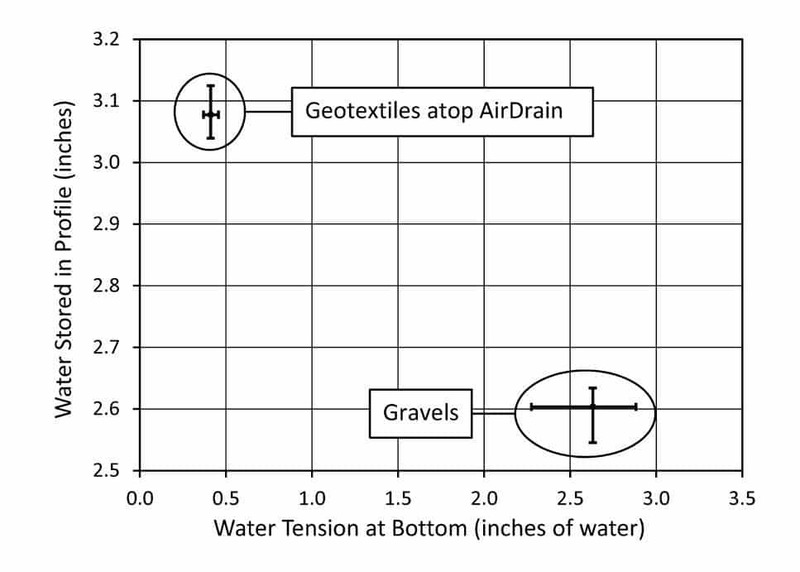 Water storage in greens that utilized geotextiles atop AirDrain as the drainage structure were compared with water storage in standard USGA designed greens constructed with gravel drainage. Three root zone mixtures were combined with four geotextiles atop the AirDrain drainage grid and three gravel drainage treatments to cover a large range of possible combinations for construction of putting greens. Each root zone drainage treatment was replicated three times in small test greens. After irrigation that produced drainage, water tensions at the bottom of the root zones of the greens constructed with geotextile atop the AirDrain drainage grid were, on average, 56 mm water less than those in test greens constructed with gravel. As a consequence of the differences in tensions, about 12 mm (~1/2 inch) more water was stored in root zones of test greens constructed with geotextile atop AirDrain compared to those constructed with gravel. If the USGA recommendations for a root zone mixture were to be used for an Airfield System’s designed putting green, it would appear that the tension at which the air-filled porosity and capillary porosity were determined should be lowered by approximately 50 mm water. 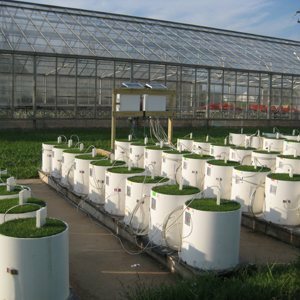 Call today to find out how the AirField Systems can save you time, money and energy on your next golf putting green or tee box, green roof, sports field. 405-359-3775.